With unemployment rates skyrocketing, going out and finding a new job can be nigh on to impossible these days. This is only going to get trickier as the government continues to force businesses to increase the minimum wage. Workloads that used to provide employment to two people are now forced onto one. The work performed gets shoddier as the one employed person struggles to keep up, and the number of people who are employed gets lower. If you don’t have a job, consider making one up. Actually, you might be better to make up several, considering the current economy and how difficult it can be to start a business these days. If you are in the midst of a personal economic collapse, you just might be able to change your course be creating your own streams of income instead of relying on an employer to pay you a living wage. There are a lot of little jobs a person can do, that individually don’t pay the bills. However, an organized and industrious person can group a bunch of small jobs into a full-time income if they schedule carefully, work hard, and stay organized. I know, because I’ve done it. Once upon a time, I did home day care on the weekends, tended bar on Monday and Tuesday nights, did dog-walking and pet-sitting during the week, cleaned house for a person one afternoon per week, and did the shopping and cooking for an elderly neighbor. At the time, I didn’t have a car, so all of this was done on foot. Twenty years ago, the $400-500 a week I made from doing all of these little odd jobs paid the bills and left me with time for other things. After that I got a “real” job and spent years in the work force. However, I eventually got “down-sized” at which point I began to revisit this type of money-making system. These days, I have my own website, I am a staff writer for another site, I do some freelance editing and writing, and I do other web-based projects as well. Again, I make enough to pay for all of our needs and some of our wants, so I’m quite happy with this arrangement. The key to success with this is to have multiple streams of income. Don’t put all of your financial eggs in one basket, because if that should dry up, you’ll be left “unemployed” yet again. As well, it really helps with budgeting if you are able to say, “This task pays my rent, this task pays my utilities, this task pays for groceries.”Obviously we all know that living frugally is like making money, but that is a topic for another article. The fact remains there are some things we need money for, so this article is focused on acquiring that cash. Some of us have specialized skills that make this easier – for example, I am a writer and editor, so I focus my money-earning on those two skills. Others might be particularly handy, so they might focus their skills on doing home repairs. But it isn’t necessary to have a skill set to bring in multiple streams of income. You simply have to be willing to do small jobs that may or may not be short term. Here are some ideas to get you started. This list, of course, is by no means comprehensive. Run errands – some folks are working during regular business hours and don’t have the time to do those little errands like stopping by the dry cleaner, going to the grocery store, etc. Recycle scrap metal – if you have a truck, run an ad offering to pick up used appliances, etc. Most people are thrilled to have someone haul off their old junk. Make and sell…something. Maybe you make jewelry, knit scarves, carve duck decoys – whatever. Find a venue to sell your handmade items, like Etsy, craft sales, EBay, or the local paper. Rent out a room in your home – you can get big dollars if you live near a college. If you have a really good eye, you can make money buying cool vintage stuff at yard sales and online, cleaning it up, then reselling it to an antique shop. Be careful though – you can just as easily lose money doing this. Do you sew? You can make money doing mending and alterations – many tailors charge up to $20 to hem a pair of pants. It’s important to make a good impression on your customers. Handle these small jobs just like you would a corporate job and follow these key steps. Be courteous – the customer is always right. Keep these principles in mind and you will never be lacking jobs. Word of mouth is the very best form of advertising. Don’t limit yourself to only doing jobs for money. Is there a good or service that you want? Sometimes you can approach people and offer them a barter, particularly if they are in business for themselves. For example, I used to clean house for the person who cut my family’s hair. Once I was hired to clean up a person’s yard and I politely asked if we could keep the walnuts that had fallen off their tree. They didn’t mind at all, as they had just asked me to rake everything up and bag it, and it gave us a nice little bonus of a winter’s worth of delicious black walnuts for a weekend’s work. Don’t be afraid to approach people about the potential of bartering – the worst thing that can happen is that they say no. Sometimes you can find work through people you know – maybe they expressed a need to have someone walk Fido partway through the day. Other times, you will need to search a little harder to find customers for your services. Have you ever tried earning a living without a traditional job? Do you have any ideas that you can share in the comments section below? Daisy Luther is a single mom who lives in a small village in the mountains of Northern California, where she homeschools her youngest daughter and raises veggies, chickens, and a motley assortment of dogs and cats. 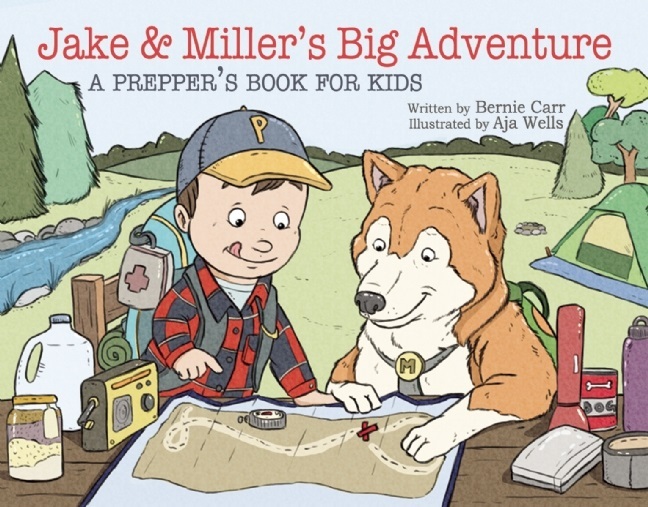 She is a best-selling author who has written several books, including The Organic Canner, The Pantry Primer: A Prepper’s Guide to Whole Food on a Half-Price Budget, and The Prepper’s Water Survival Guide: Harvest, Treat, and Store Your Most Vital Resource. Daisy is a prolific blogger who has been widely republished throughout alternative media. 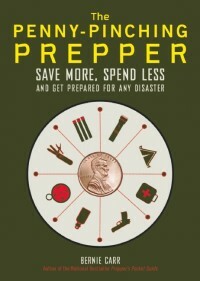 On her website, The Organic Prepper, Daisy uses her background in alternative journalism to provide a unique perspective on health, self-reliance, personal liberty, and preparedness. You can follow her on Facebook, Pinterest, and Twitter.